Golden's Artists Acrylic colours are compatible with all kinds of acrylic painting techniques. Their colours are useable straight from the tube, but you can combine your colours with various acrylic mediums to adjust their working properties to fit your creative vision. Use mediums to adapt consistency, add texture, increase body, create gloss and even make your acrylics workable on fabric or masonry! 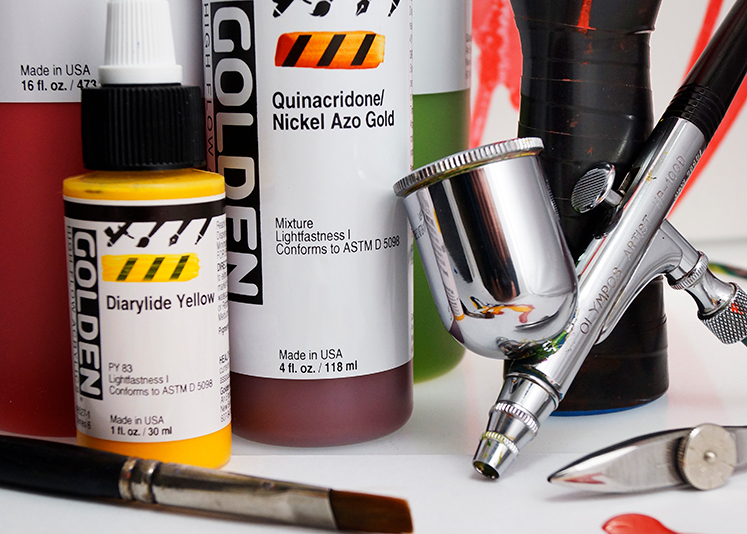 The Golden Acrylic system is extremely versatile and can be used for a vast number of different applications; if you're just starting out with Acrylics the amount of choice available may seem a little overwhelming! Below you can find some simple and concise information about how to use your acrylics with your favourite painting techniques. Just follow the links to discover more!